Nice little hostel. Everything you need for a night. Perfect place, traveling on my own I felt perfectly safe at the hostel and in general in this less travelled part of the UAE. Super clean, welcoming staff, comfi, great location, great wifi, great shower. A few hooks in the bathroom would be great. Thanks a lot!! Awesome place to stay during your visit to the East Coast of the UAE. Spacious, clean, and a great value for money. The place is clean and comfortable. It was even cleaner than the hotel we stayed in at RAK. The beds were more comfortable too. We will definitely recommend it to others. Одноэтажные кровати. Жил в 4 местном номере. Есть шафчики запирающиеся. Гостиная комната с холодильником и телевизором. Гостей в сентябре было мало. Адекватная стоимость. До океана - 10 мин пешком, до гипермаркета Carrefour - 15 мин. До алкогольного магазина (подалее карефура) - 20 мин пешком. Цена хорошая,тихо и чисто.Кровать удобная и белье чистое и новое. 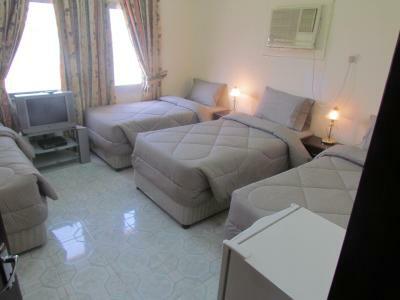 In Fujairah, this hostel is a short walk from the beach. 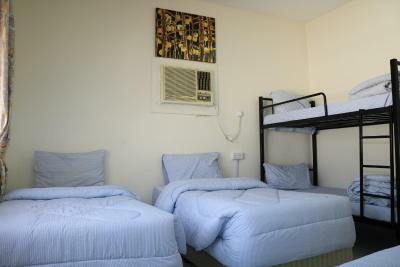 It offers dormitory rooms in villas. Each villa has a communal sitting area with a TV and a kitchenette. 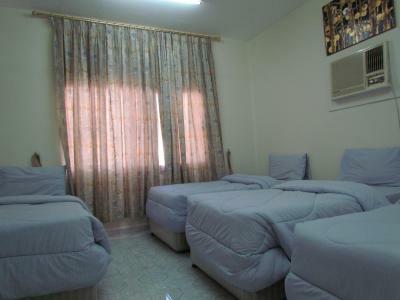 The air conditioned rooms at Fujairah Youth Hostel are simply decorated with wooden furniture and pastel colors. All rooms have shared bathroom facilities. Guests can relax on the hostel’s terrace. Fujairah Youth Hostel is just a 5-minute walk from Fujairah, where there is a wide selection of shops and restaurants available. Free private parking is available on site. 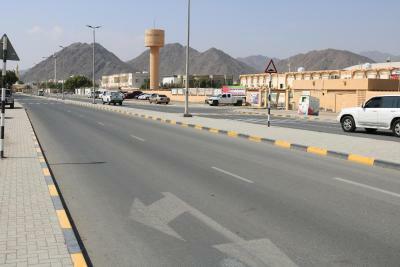 Al Fujairah International Airport is only 3 miles from Fujairah Youth Hostel. 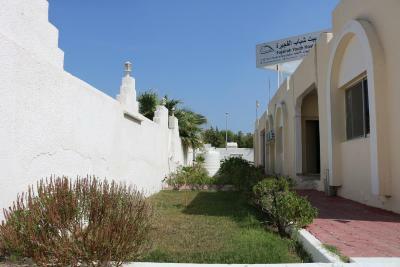 When would you like to stay at Fujairah Youth Hostel? 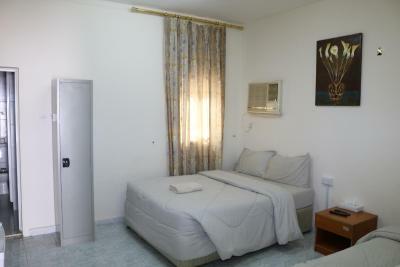 This room is simply furnished with a satellite TV and an private bathroom. This family room comes with a king bed, a single bed and an private bathroom. House Rules Fujairah Youth Hostel takes special requests – add in the next step! 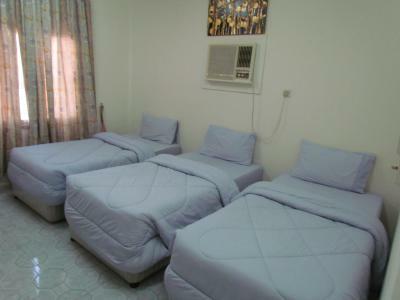 One older child or adult is charged AED 60 per person per night in an extra bed. Fujairah Youth Hostel accepts these cards and reserves the right to temporarily hold an amount prior to arrival. Reception is open from 09:00 until 00:00. Please note that guests used a credit card to make a reservation, will incur additional charges. For further information, please contact the hotel in advance. 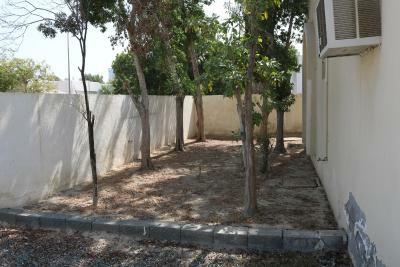 If it were nearer to Fujairah downtown that would be more convenient. The air conditioner was an old model so it will be a little hard to cool other parts of the room but we managed to move the beds and put them together so it was just fine. We slept really well. Only one word can describe the gust id "Rubbish"
window air conditioners , bath rooms are very hot in the summers days. only Arabic channels available in TV. There are barely any amenities around the property and transportation was an issue.